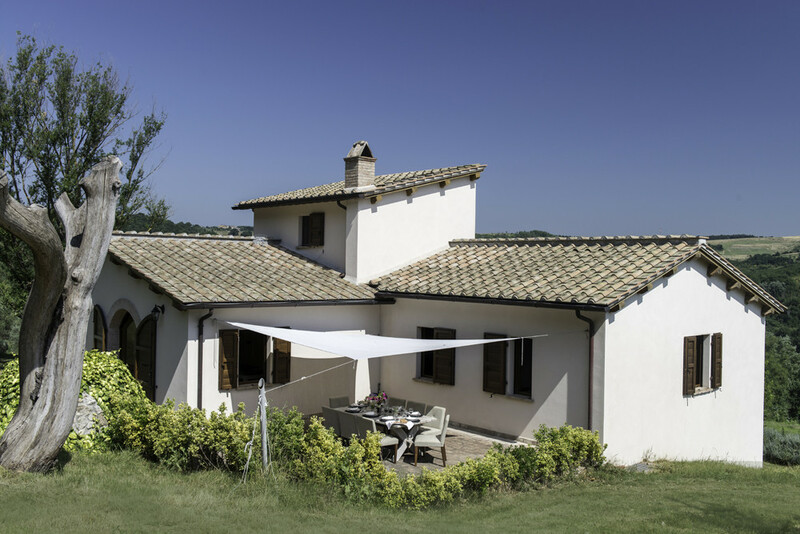 The property has a fully private setting in a small valley of woods, farmland, olive groves and vinyards, with views to the Apennine mountains. 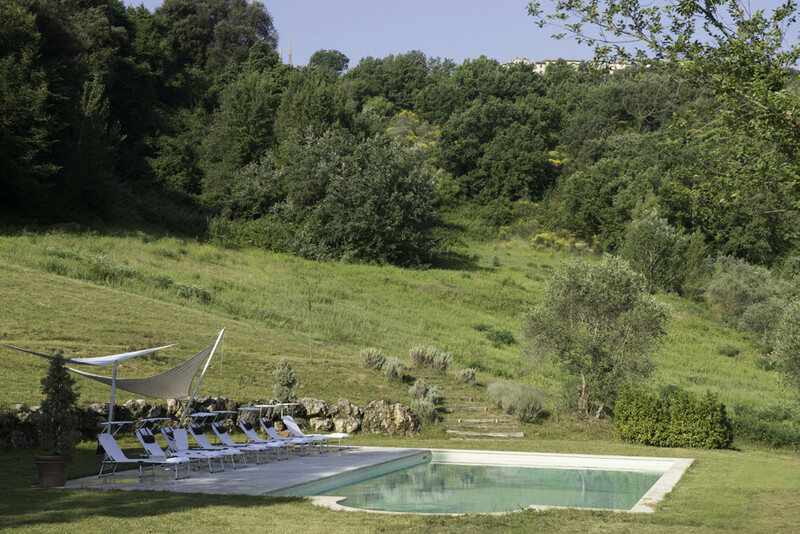 It is located between Amelia (7km) and Narni(17 km) in Southern Umbria, offering both convenience (Rome 35 minutes by train; Rome airports ~1 hour drive) and a timelessly authentic rural setting. Amelia (population 12,000; 10 minutes drive) is an ancient cultural and commercial centre in the region. 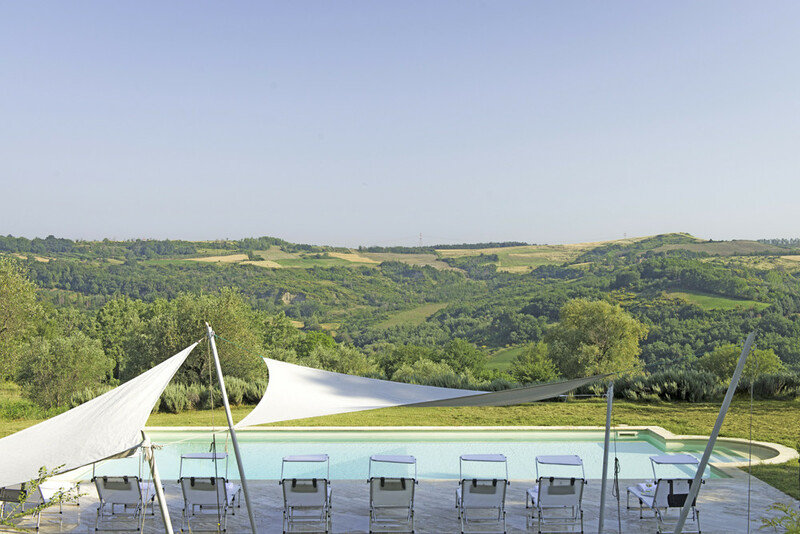 In less than an hour by car it is possible to reach many important historical centres such as: Todi, Orvieto, Peugia, Assisi, Norcia , Viterbo, Tarquinia, Cerveteri and of course Roma. 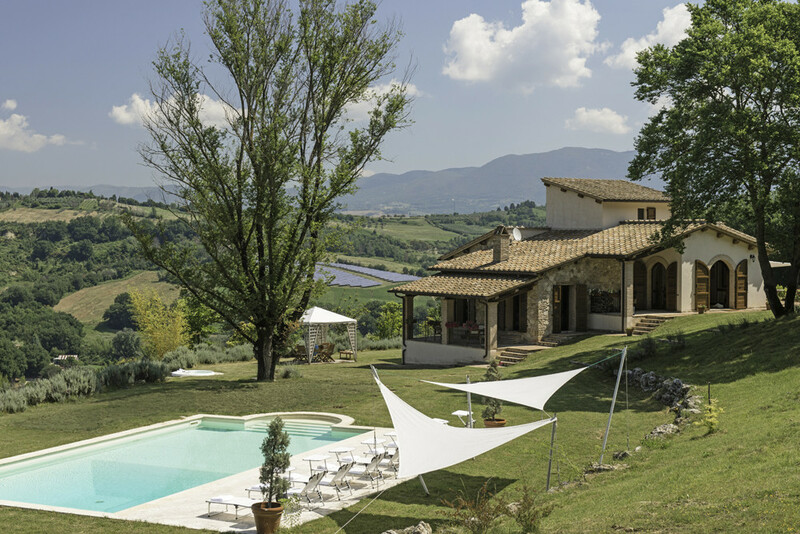 Conceived by an Anglo-Italian developer with the vision of a modern implementation of the classic Umbrian rural homestead, emphasising luxury and practicality alongside authenticity and atmosphere. 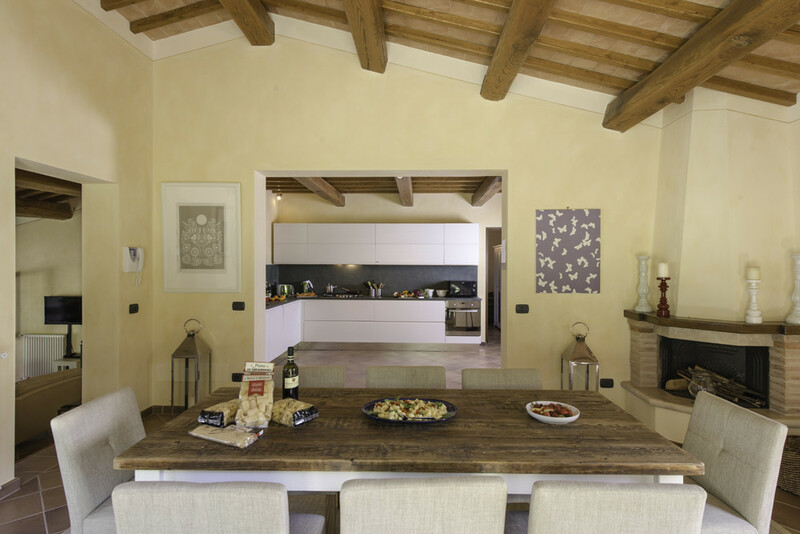 The house measures 400sqm, with 30 sqm of covered "portico" in addition. The house is set on 3 levels. 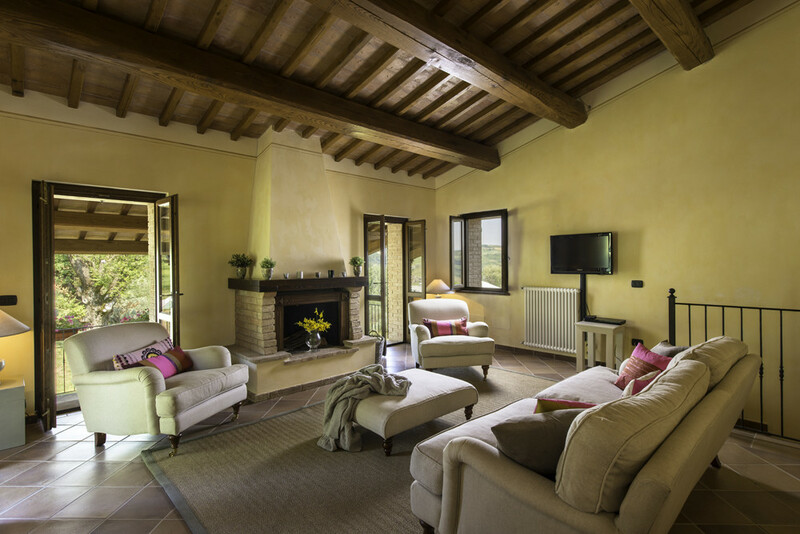 The ground floor incorporates: a large living room with 2 fireplaces, opening out onto the garden area; 2 bedrooms with ensuite bathrooms; and a further bathroom for the living area. 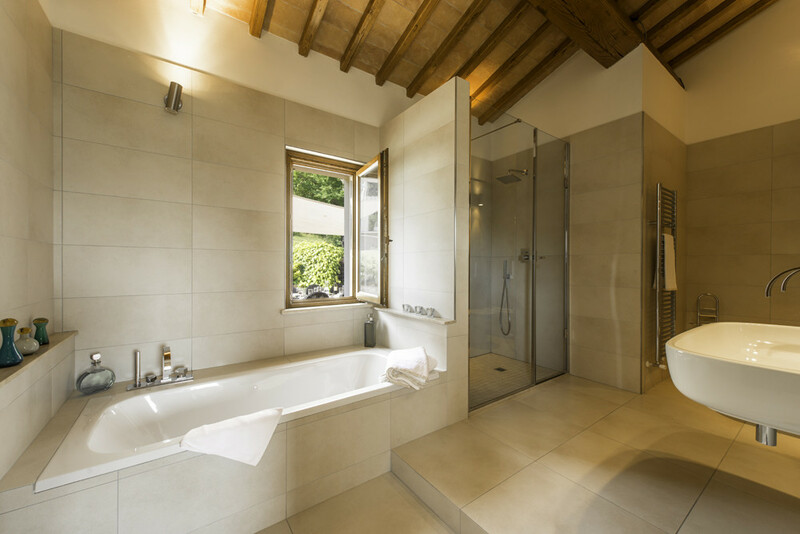 On the first floor there are 2 bedrooms with ensuite bathrooms; walk-in wardrobe and fitness area. A wrought iron staircase leads up to the very intimate and private second floor with a light and airy studio-bedroom which enjoys superb open views. The house has been built externally with local stone and hand-made bricks. 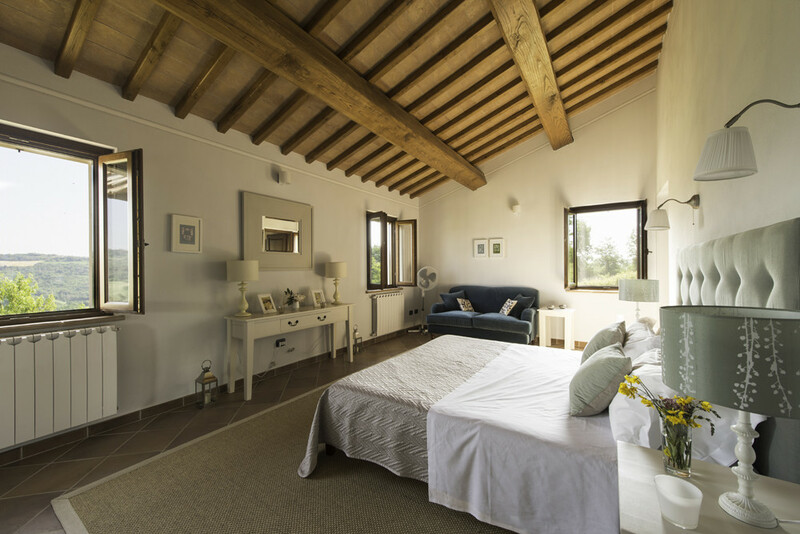 All ceilings are in traditional woodbeam and terracotta bricks. 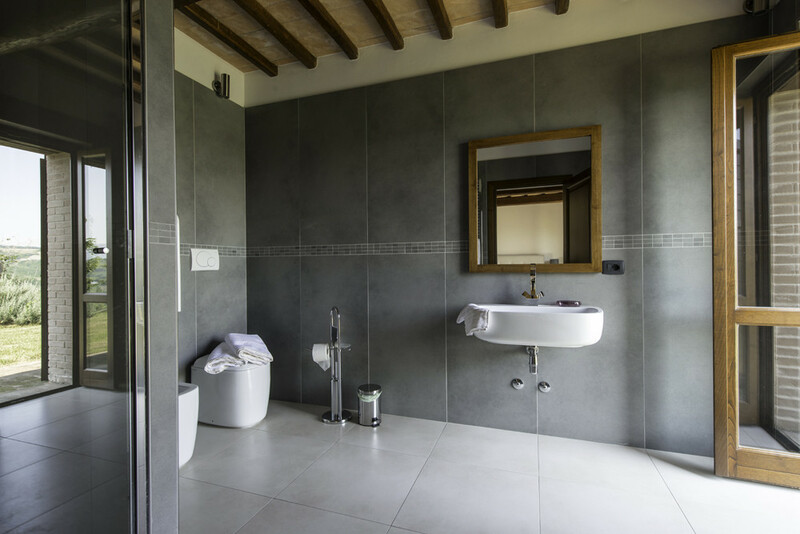 All floors are in modern quality tiles. Windows and doors are in wood with double glazing. Large garden with integrated irrigation system. Sold with 1.5 hectares (additional land available). 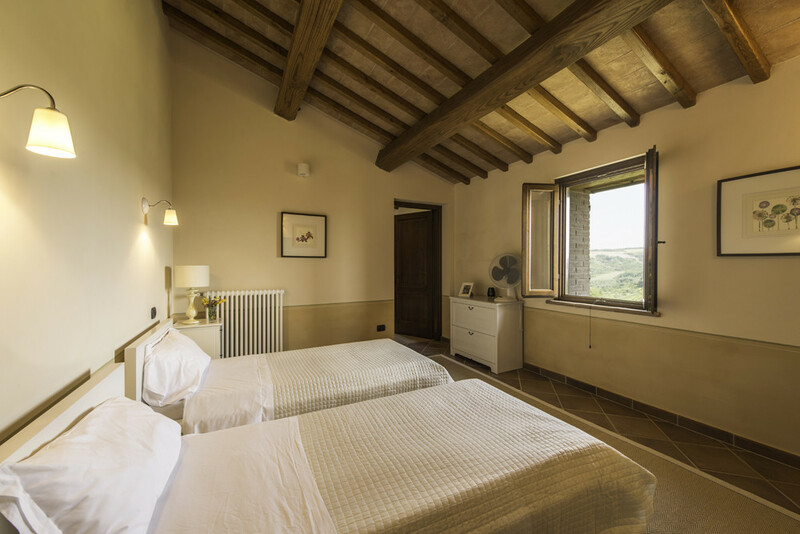 The property is crafted with the highest quality materials and attention to detail, including stone and handmade brick construction, traditional beam-and-terracota ceilings, copper gutters, hand-made wooden doors and windows, hand-made kitchen and designer bathrooms. 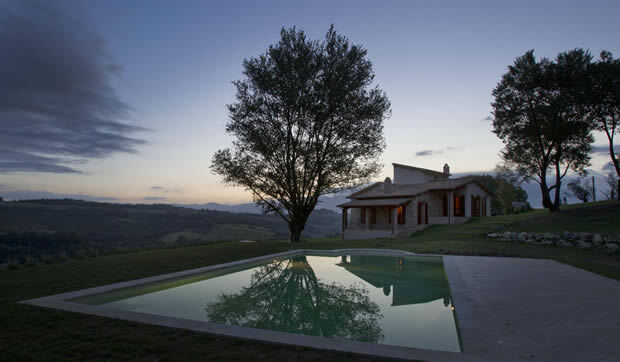 The property is fully completed and connected to utilities, the garden has a fully integrated irrigation system. 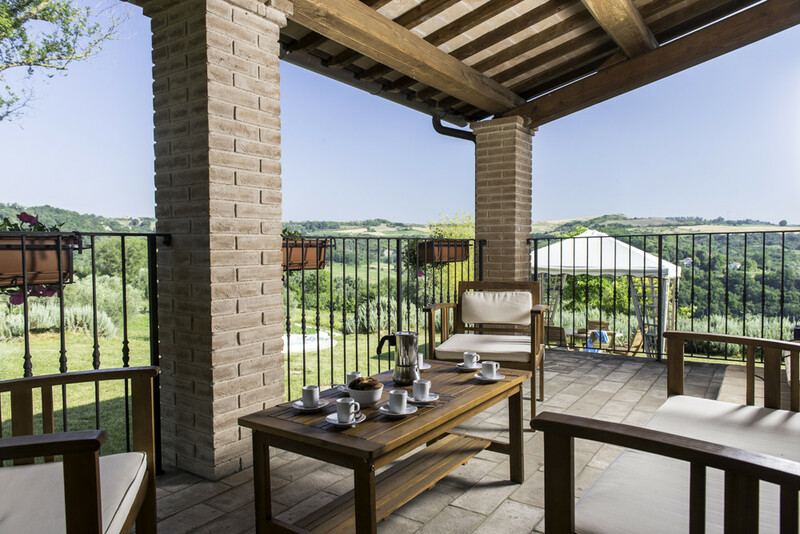 The location combines outstanding rural beauty, with proximity to both major transport hubs and the enchanting towns of central Italy. This will make a genuinely unique private home or luxury rental property.